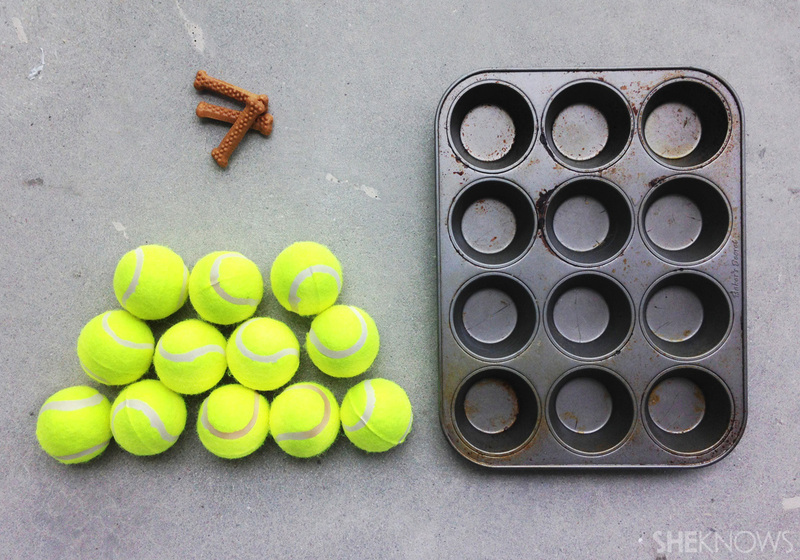 This muffin tin dog game is a fun and enriching activity to play with your dog. 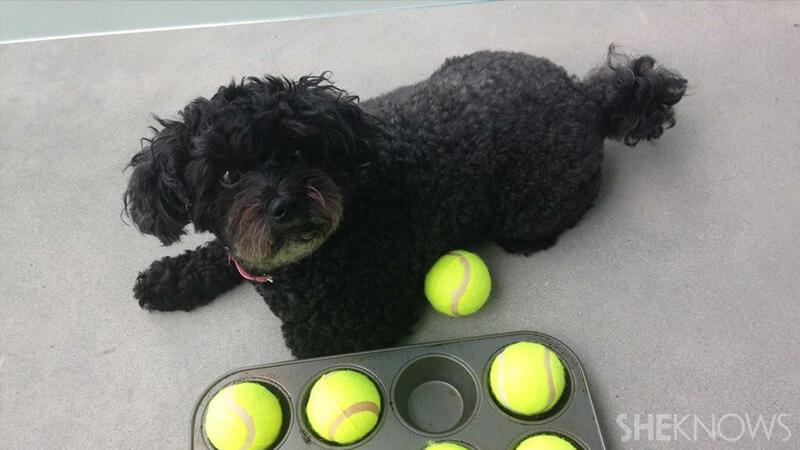 It stimulates the mind and encourages your dog to use its senses. 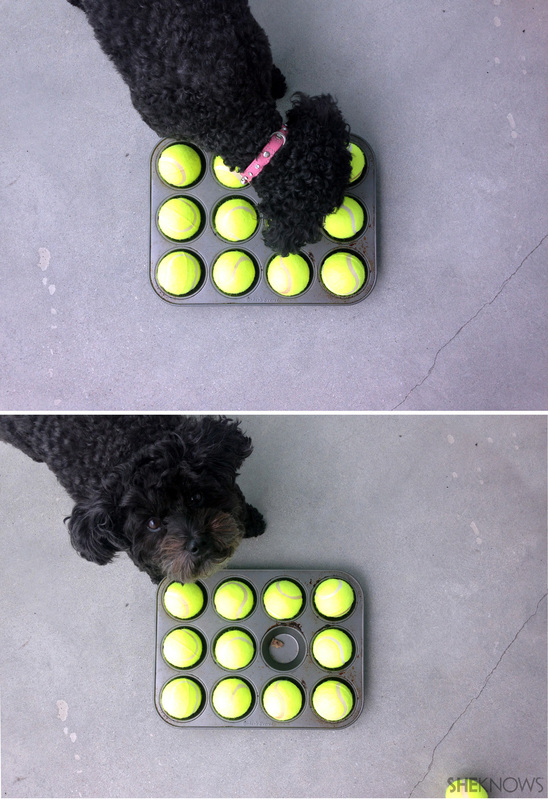 It’s a great game to play on rainy days or just whenever your furry friend is looking bored. Most of the materials needed for this dog game you probably already have around the house. This clever game takes only a minute to set up and costs almost nothing at all. Break your treats into a few small pieces and place them in some of the muffin cups. 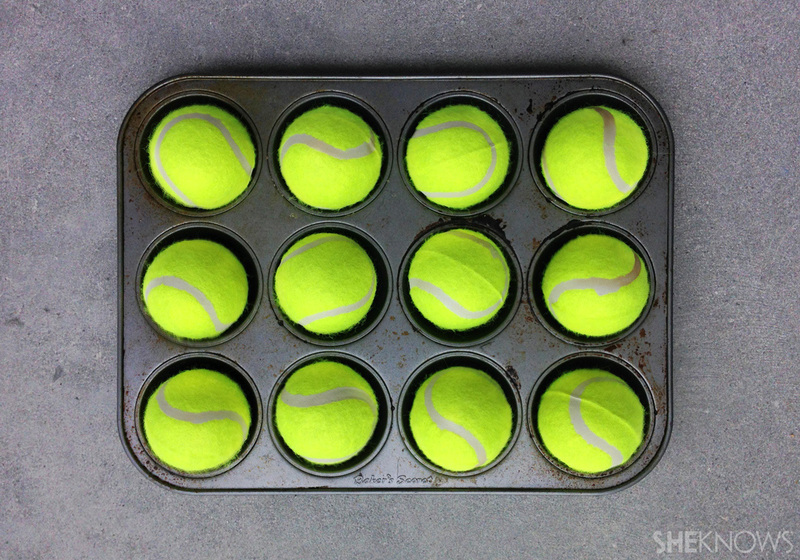 Place the tennis balls in the muffin cups to hide the treats. 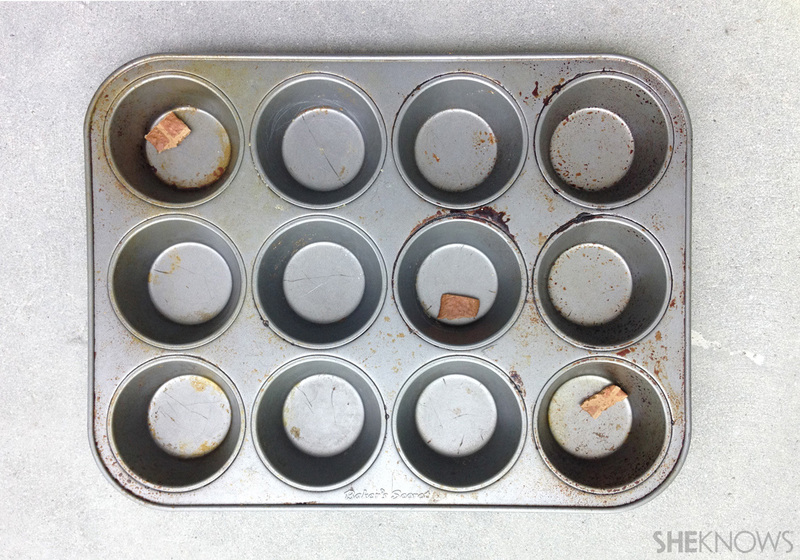 Your dog will sniff around and discover yummy treats when it figures out how to knock the balls out of the muffin tin.